Hi guys! Happy Friday! 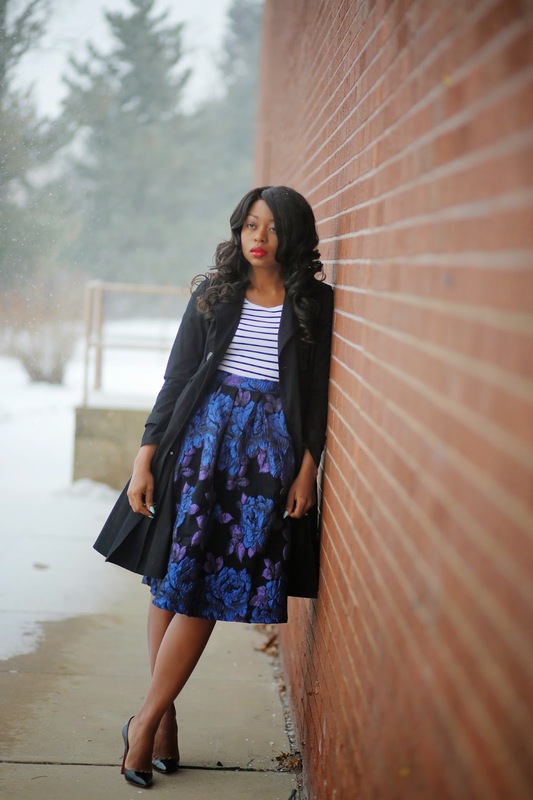 You definitely know how much I love midi skirts and Chicwish continuously feeds my obsession. They have so many options and their phantom rose skirt is my latest addiction. I love the midnight color tones and for the post, I tried mixing different patterns/prints. I paired a stripe tee with the floral skirt and completed the look with a black trench coat for a formal appeal...perfect for an after work meet-up with coworkers. This post was brought to you by Chicwish. As always all opinions and thoughts are my own.